Former President of France Nicolas Sarkozy has been accused by the judges who instruct the scandal of the possible partial financing of his 2007 presidential campaign with Libyan money for the alleged crimes of "passive corruption", "illegal financing of electoral campaign" and "misappropriation of public funds". This is Sarkozy's second accusation by the French justice, which has already accused him in a corruption case. Sarkozy was questioned about the financing by the regime of Muammar Gaddafi by specialized inspectors of the Central Office of the fight against corruption and financial and fiscal offenses (OCLCIFF), for 26 hours with a night break, in the police premises of the Central Directorate of the Judicial Police (DCPJ) of the police station of Nanterre, in the western periphery of Paris. According to the French penal code, the alleged crime of misappropriation of public funds is punishable by up to ten years in prison and a fine of up to 150,000 euros. The illegal financing of electoral campaigns is punished by the French penal code with up to three years in prison and a fine of 45,000 euros. Passive corruption can be punished by several years in prison. Officially, justice recognizes the presumption of innocence. And the indictment does not prejudge the evolution of the case or the final sentence. On the contrary, the investigating judges seem to have "concordant" elements of judgment that allow them to advance their very serious suspicions. Sarkozy considers himself a victim of a "crapulous machination", mounted by characters of the most dubious reputation. Several sources estimate, however, that the decision to accuse the former president seems to be "justified" by the appearance of "new elements of judgment". According to police sources, Sarkozy held a "very combative" position during the 26 hours of interrogation, denying all allegations and suspicions of illegal financing, accusing his accusers of lying and mounting a crapulous scandal. 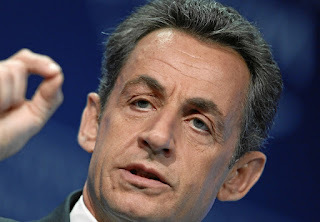 The lawyers of Sarkozy and several of his ministers affirm that, in truth, in his way of seeing, for several years they have been repeating "baseless accusations", without anyone having contributed any type of evidence. Over the last three years, the scandal of Libyan financing, real or presumed, has had many shocks, at the pace of the statements of some witnesses "businessmen" of a highly random morality.